Working along side PK Stud we can offer horses from world class showjumping youngstock to experienced pony/riding club horses & ponies. For more information or to arrange a viewing please contact Elly on 07775992585 or use our contact us page. 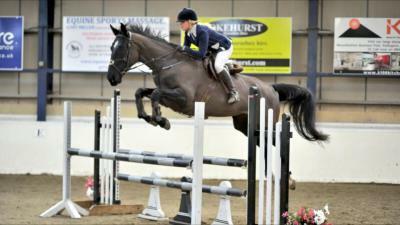 15.3 8 yr old Irish Sports Horse. Could not wish for a better temperament in a horse, he loves being around people. 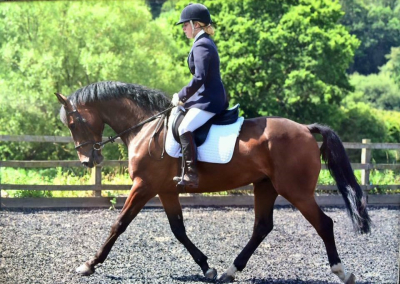 Gained over 70% in last 5 dressage tests, and has competed at various local shows. Good to hack, however can get anxious in the arena and at competitions. So needs a confident, experienced ridr to bring out the full potential in this loving boy. Right home is a must for this boy. 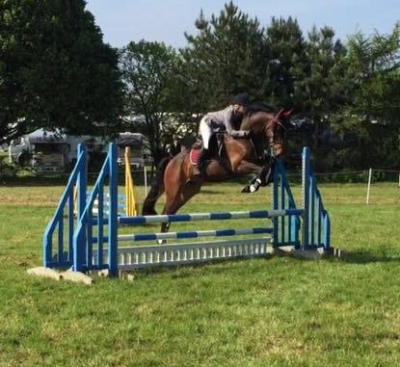 7yr old mare by Kannon x Olympic Ramero Due to an injury Kandice is now an ideal brrodmare with top Show jumping blood lines. She has already breed a fantastic foal by Baloubet who is still with PK Stud. 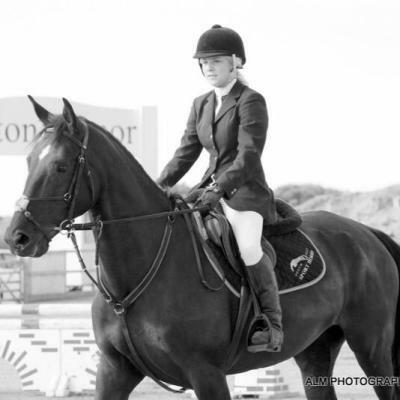 After her foal she won at low level dressage and had started competing around BN & Discovery before her injury.